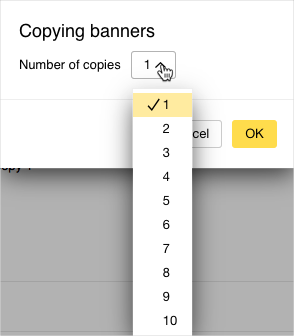 If you want to create several identical banners for one ad campaign (in order to target different regions, for example), use the copy function. When you copy a banner, the new copy's status will change to “In development”. Check the box next to the banner, click Actions, and select Copy banners. Select the appropriate number of copies and click OK.